This book is a comprehensive resource that offers a generic, multi-dimensional approach to the development of critical thinking as an academic and life skill in a variety of contexts, namely formal, informal and non-formal. It argues for a breakdown of the divides between the different role players and systems where critical thinking is taught. 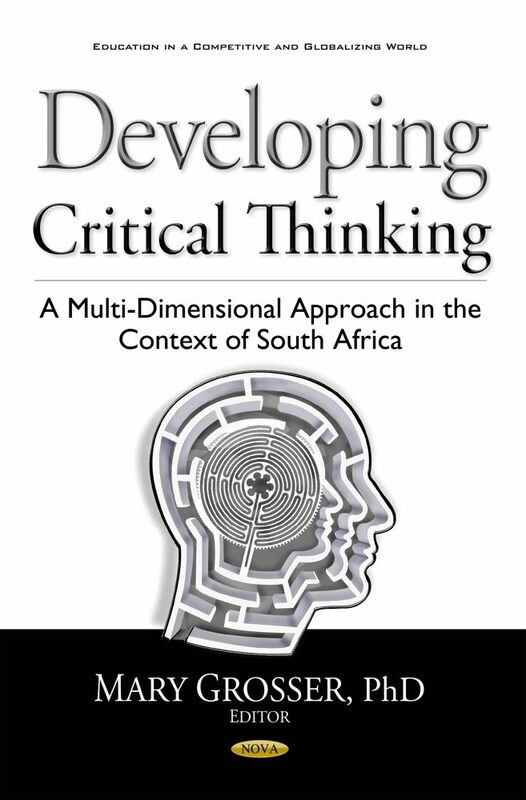 This book also focuses on the application of theory pertaining to the conceptualization of critical thinking, and provides generic guidelines for teaching critical thinking in the South African context and elsewhere. Various examples of exploratory, evidence–based research in the South African context elucidate the status quo regarding the development of critical thinking skills at school and higher education levels. The evidence-based research also demonstrates the efficacy of selected strategies that have the potential to assist in the development of good critical thinking skills in and beyond classrooms. The target audience for this book is a wide market, which includes the role players in education in formal, informal and non-formal learning contexts. These role players include among others, parents, peers, members of education departments, all teachers; lecturers a Technical, Vocational Education and Training (TVET) colleges, departments of teacher training at Higher Education institutions, tutors, therapists, practitioners and professionals and the media.